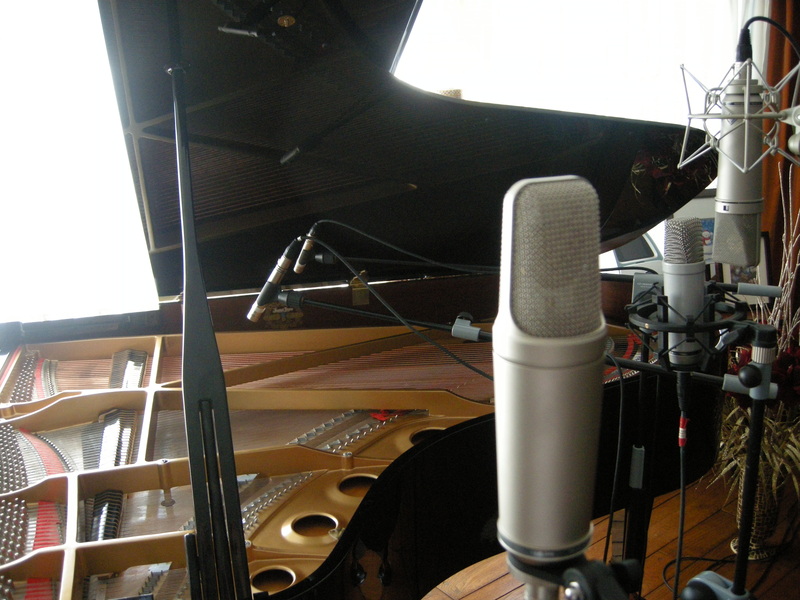 The Production Voices’ Estate Grand Piano is a beautifully hand-sampled Kawai GS 60 6’9″ grand piano with three different microphone perspectives including a mono-capatible M/S (mid-side) microphone perspective. It was recorded with care and with only the finest equipment at a country estate in the heart of corn country in Southern Ontario Canada. 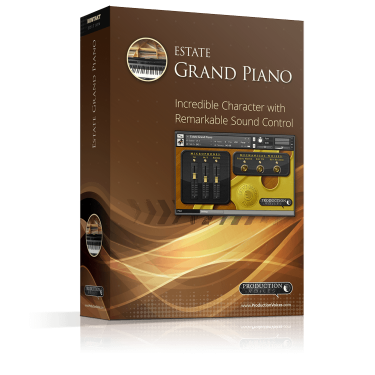 Note: This is the full version of our popular Estate Grand Piano LE. Version 1.2.1 is free to Estate Grand users and is available HERE. 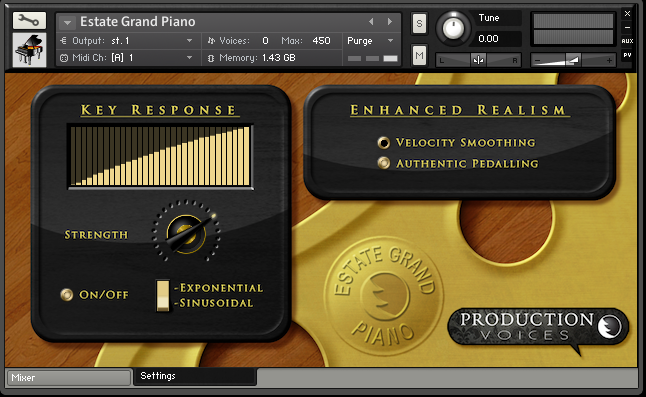 The Production Voices’ Estate Grand Piano is a beautifully sampled Kawai GS 60 6’9″ grand piano. It was recorded with care and only the finest equipment at a country estate in the heart of corn country in Southern Ontario Canada. Note: This is the full version of our popular Estate Grand Piano LE. The Estate Grand Piano is sampled from a grand piano that resides in the library of a country manor. The room is warm sounding and the piano overpowers the room just slightly filling the room strong overtones. Hence, the piano has a lot of attack! 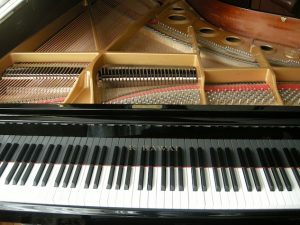 While sampling the grand piano, the owner of the manor mentioned that he auditioned several pianos before picking the Kawai. 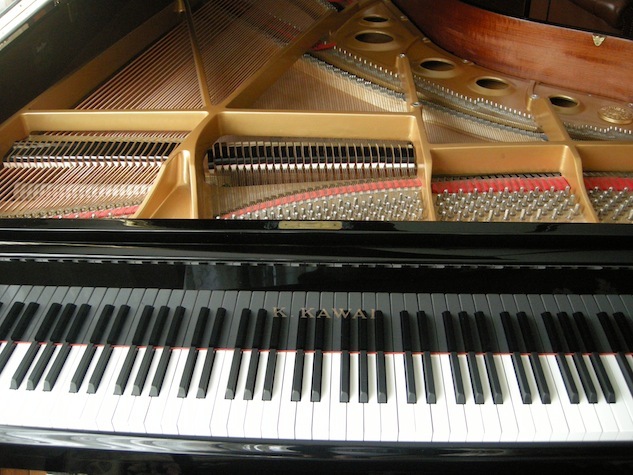 He had tried Steinways and other famous pianos, but fell in love with the character of the Kawai. It is not a “me too” piano, but a unique instrument that will add life to your live or recorded piano sound! The digital download is in 4 ZIP parts. Each part is approximately 1.5 GB. Windows users require a ZIP utility to unzip the files. Mac users can simply double-click the files. 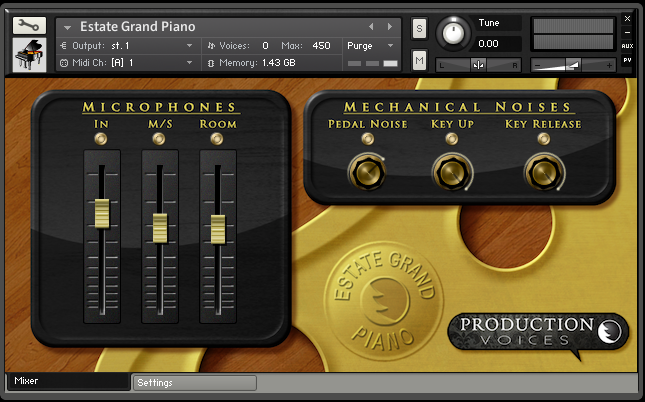 Place the Estate Grand Sample folders 2 through 4 inside the Estate Grand Sample folder before loading presets. The Estate Grand sample files have been compressed in Kontakt from 11 GB to 6 GB with NO loss in audio quality! Links to the downloads will be included with your purchase confirmation email. Downloads include Estate Grand version 1.2.1 update.